A fun twist on a favorite dessert recipe. Bake cinnamon rolls as directed on package and let cool. Combine pudding mixes and milk. Mix with an electric mixer for about 2 minutes. Fold in cool whip. Cut cinnamon rolls into small pieces. 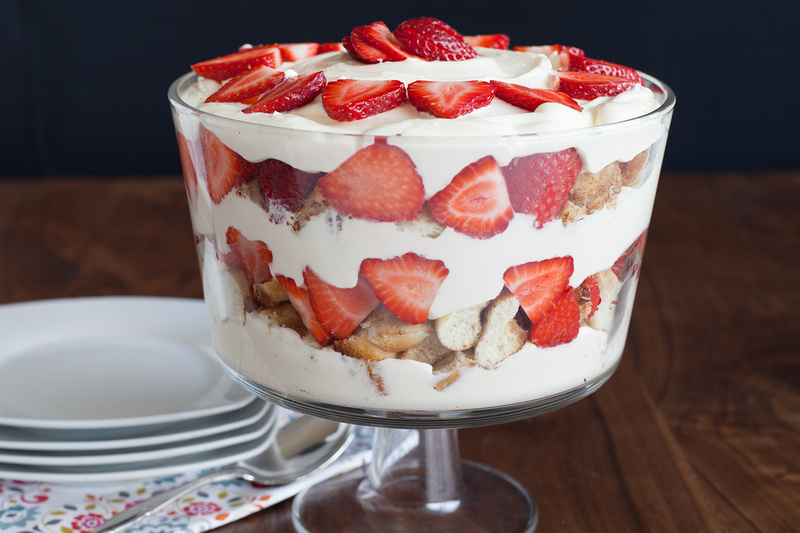 In a trifle bowl, layer pudding, cinnamon rolls, strawberries. Repeat with another layer of each. Top with pudding and decorate with strawberries.